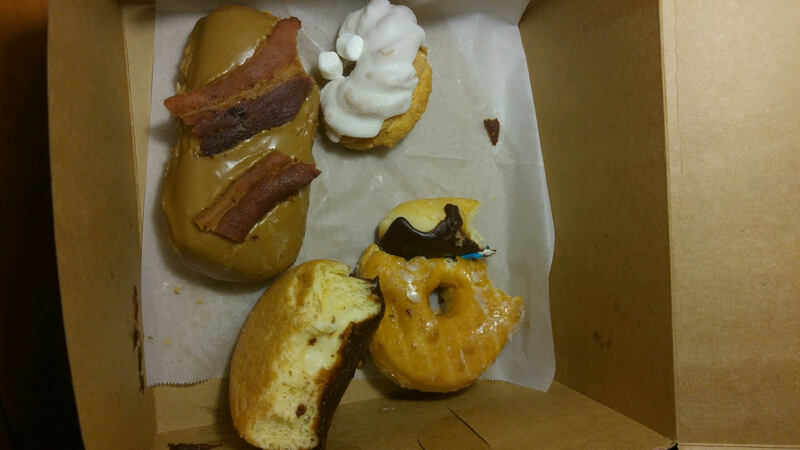 Bacon Maple Bar, Portland Creme, Raised Glaze, Voodoo Doll, Lemon Chiffon Crueler. Expect to wait. 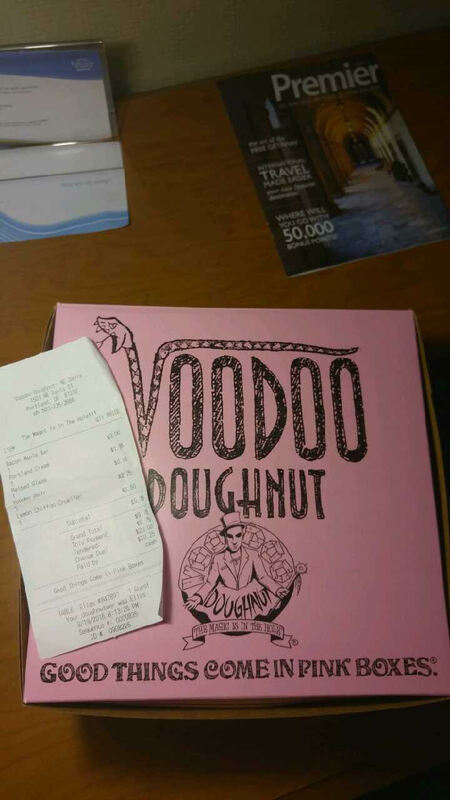 If you want to get your hands on doughnuts faster, visit the Voodoo Too shop rather than the original or visit at a non-peak hour. There are Disney style gates to funnel customers inside and the menu is available online and on the wall and with representative doughnuts in display cases. It helps to know what you want ahead of time so you don’t stop up the line. Expect the employees to be fast and helpful. Now move along and enjoy your doughnuts. 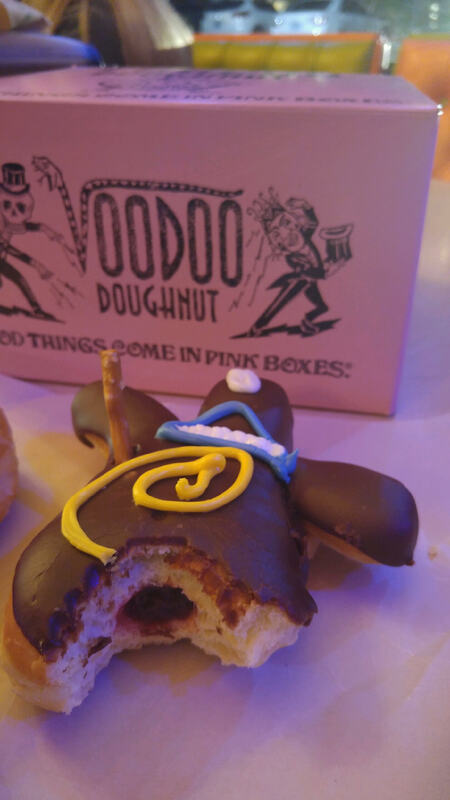 You get to visit the infamous Voodoo Doughnuts. You get to try out some crafty and well-made doughnuts. There is more than one Voodoo to choose from. Doughnuts. You’ll understand what to do when you get there as they are totally set up for large customer volume. 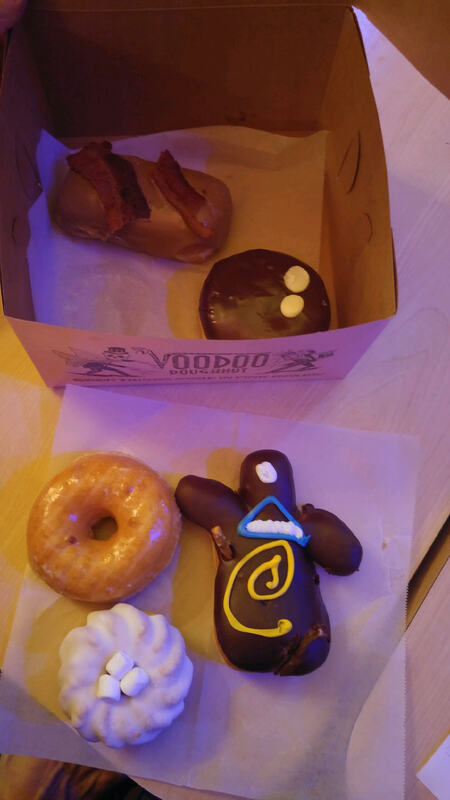 Going to a place like Voodoo (Even Too) is fun in and of itself because it is one of the most well-known little doughnut shops in America. Voodoo is an experience. My favorite doughnut, thus far, is their raised glaze. ← Local Event this SATURDAY – St. James Espresso in Kirkland, WA with multiple FVP authors!